LG smartphones for a couple of years have been severely underrated even though the devices mostly offer the same specs as other flagships at an even lower price. The LG G7 ThinQ is one of the best devices the company has ever released and can easily go toe to toe with any other flagship from 2018. If you’re a proud owner of the LG G7 ThinQ, then it’s time to rejoice since the device is now receiving the Android Pie update. 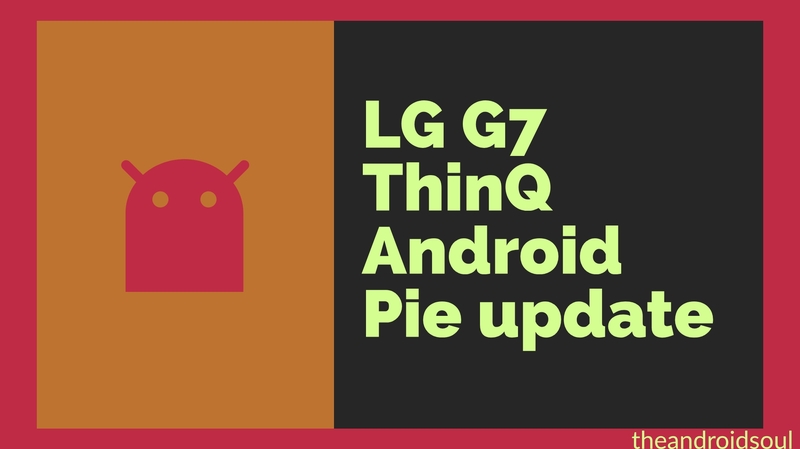 The company just announced the rollout for the Pie update for the G7 ThinQ for users in South Korea; however, there’s no information on when the update would arrive in the US or any other region for that matter. The Android Pie update version is G710N20c and brings along all the major features we got to see with the Pie update. It could possibly take a few weeks or even a month for the update to roll out in other regions apart from South Korea. LG has added their own skin over Android 9 and has retained the stock Android 9 Pie gesture navigation as well with the pill-shaped gesture button. The new update also brings along several new features such as extra battery saving features, adjust media volume only, background app permissions, and some new features for the camera app as well. Currently, the update is being rolled out in batches and users in South Korea should be receiving the update notification already.